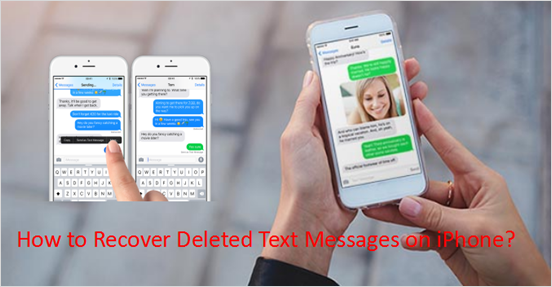 If you often use your iPhone to send or receive messages, you are likely to encounter the same trouble – accidentally deleting all text messages on iPhone and having no backup. Many people realized the mistake they did afterwards and then ask for help of iPhone SMS recovery. Whether you have a backup or not, here are four ways to recover deleted text messages on iPhone X/8/7/6/5/4. If you don’t have any backup of your iPhone text messages, you can retrieve deleted text messages by contacting your phone service provider. Normally, they will keep a record of your SMS messages (not including iMessages). However, to protect the privacy of both sides participated in the conversation, the cell phone carrier will offer you these messages only when you obtain a court order. What’s worse, some providers only keep the information for a few weeks. Therefore, if you lost important text messages, you’d better contact your cell phone carrier as soon as possible. Although this method is not as easy as you think, it is worth trying, right? 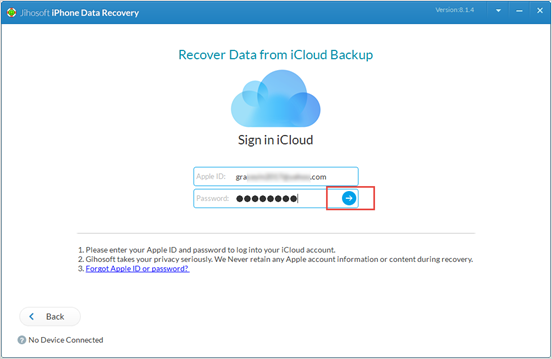 Step 1: Download and run iPhone Message Recovery Software on your computer. Step 2: Connect your iPhone to computer and then click “Start Scan”; After that, you can view deleted text messages on iPhone. 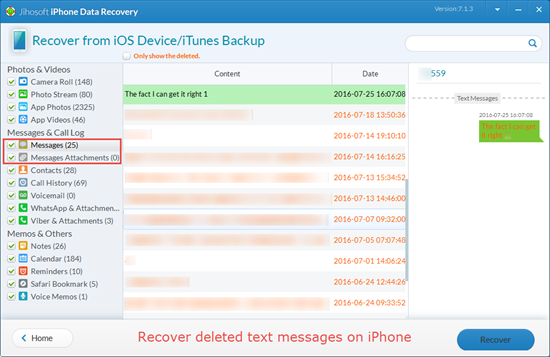 Step 3: Click “Recover” to retrieve deleted text messages from iPhone. Step 1: Launch this software on your computer and then click “View iTunes backup”. 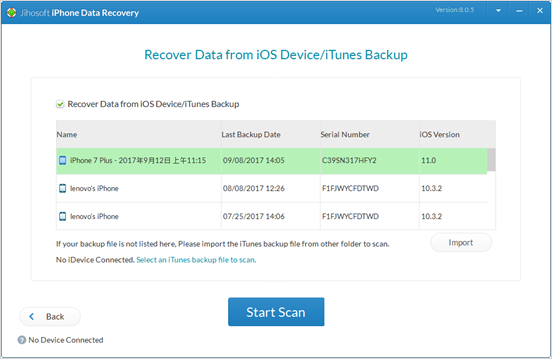 Step 2: Start to scan the iTunes backup that may contain the deleted SMS messages. Step 3: After the scanning process, recover deleted text messages onto your computer. If you want to restore deleted text messages back to your iPhone and ensure that you have the iTunes backup containing the text messages you want, click here and learn what to do. Step 1: Click “View iCloud backup” once you launched this software. Step 2: Enter your Apple ID and its password to enter the next step. Step 3: Choose a backup you want and then click “Start Scan”. Step 4: Choose the deleted iPhone text messages you want and then recover them to your computer. If you want to restore these messages to your iPhone, you can use the first three steps to make sure which backup is a valid one for you and then check the tutorial here.